GREEN TOUR transferring a B-learning Tool to develop and increase skills and competences. The project with the development of a training material is a good motivational factor to train and educate the people employed in the tourism sector, towards to strengthen the number and quality of local jobs created/supported by tourism – increased demand for tourist services is not always followed by increased number of qualified people. Although qualified professionals in tourism exist, there is a lack of tourism staff with competencies and skills to meet customer demand and labour market needs. The project will increase the knowledge and the quality of the services giving good example a guide for other tourism sectors. Education with specific knowledge and promote local cooperation are the best ways to increase ecotourism sector in the countries of European Union. The target group of the project are entrepreneurs, future entrepreneurs who want to develop business; young people who are interested to learn sustainability and green tourism or would like to supplement their tourism diploma, local development promoters/agents, municipality technicians and stakeholders who, by the nature of their professionals activities have to define policies and strategies connected to tourism sector; and technicians and professionals of tourism sector who would like to develop or increase their know-how and skills in this scope. Tourism for disabled – training module on how to create tourism programs for disabled people. 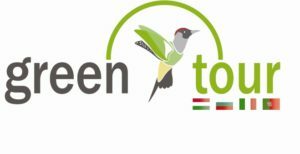 To develop a blended training course that allows the participations to develop and improve the skills and competences necessaries related to green tourism and ecology. To allow learners to continue living in the rural areas by increasing new opportunities of employability, developing the existing small business and potentiate new ones, preserving local nature and culture background and also promote the green and nature conservation. 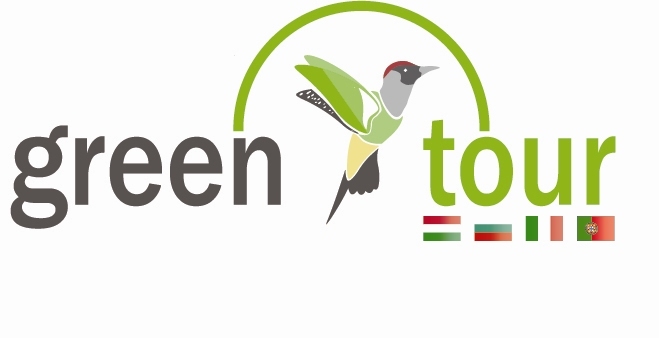 To ensure special training for young people and for others who are interested in green tourism. This training will be a good specialisation before/after high-level tourism courses ensure by the universities. To raises awareness and cooperation on relevant stakeholders, manufacturers and local development associations about tourism potential of their regions and will facilitate to define policies and strategies. Minimalize the use of scarce and non-renewable resources in the development and operation of tourism facilities and services and thus reduce the impact of tourism on energy and water demand. Underline the importance of using new IT and marketing possibilities (website, mobile applications, e-newsletter, QR code) in sustainable and green tourism. Educating how to care disabled person and the importance of creating ecotourism programs, guides for deaf, blind and handicapped people in the field of rural/ecotourism. The project will be a local developer tool to deprived regions, increasing the employment potential. Emphasize the importance of creating IT tools for marketing. website, e-newsletters and mobile applications could help reaching target group. To create an educational material which put a great emphasis on practical knowledge and not only theoretical knowledge. The project based on NATUR project – which was submitted and supported in Portugal in 2010. The partner countries of NATUR project: Estonia, Netherland, Turkey.